The default username and password for Dell Remote Access Controllers (DRAC) are “root” and “calvin, ” respectively. As with everything else, for security reasons it is recommended to change either or both. 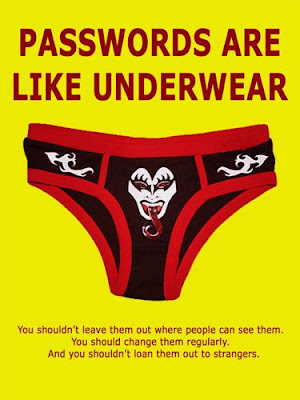 There are always those cases where you either forget the password or don't know it to begin with. Like in the case of purchasing used equipment on eBay or elsewhere. Resetting the DRAC password can be done using the command line tool, racadm. RACADM can be downloaded from Dell by searching for "racdm download." Once installed racdm.exe will be located, by default, in C:\Program Files (x86)\Dell\SysMgt\rac5 (for DRAC 5 on 64-bit Windows OS) or C:\Program Files\Dell\SysMgt\rac5 (for DRAC 5 on 32-bit OS). Navigate to the appropriate directory to run the following commands. On Windows 2008, Windows 7 or Windows Vista (or higher) you will have to open a command prompt as administrator for sufficient permissions to run the command. If not you will get the message, "ERROR: Insufficient privilege level - You do not have the required privileges to run this application locally"
In DRAC 4 the first index slot is “root” by default. In DRAC 5 index 1 is “Administrator” and index 2 is “root”. This is essential to know to correctly reset the password. See, "Using the RACADM Command Line Interface" for more information. On the View menu, make sure that the Advanced Features option is selected. If this option is not selected, the Security page will not be visible for User account objects. Open the properties of the user account that owns the mailbox. If the account is not already in the list of group or user names, add the account that should have the Send As permission for this user. In the Permissions box, click the Allow for the "Send As" permission for the appropriate account. Restart the Microsoft Exchange Information Store service on the affected Exchange server. The following is a (hopefully) comprehensive list of command line commands and utilities for Windows 7. Click the links for further details and examples of each command. The dism command starts the Deployment Image Servicing and Management tool (DISM). The DISM tool is used to manage features in Windows images. The fsutil command is used to perform various FAT and NTFS file system tasks like managing reparse points and sparse files, dismounting a volume, and extending a volume. The ftp command can used to transfer files to and from another computer. The remote computer must be operating as an FTP server. The help command provides more detailed information on any of the other Command Prompt commands. The mmc command can be used to open Microsoft Management Console in author mode or to a specific snap-in console, all from the Command Prompt. The mstsc command starts the Remote Desktop Connection tool from the Command Prompt. The nltest command is used to test secure channels between Windows computers in a domain and between domain controllers that are trusting other domains. The Psr command starts Problem Step Recorder, a screen capture and logging program for use in troubleshooting problems. The reset session command is used to reset the session subsystem software and hardware to known initial values. The takedown command is used to regain access to a file that that an administrator was denied access to when reassigning ownership of the file. "Displays a list of applications, services, and the Process ID (PID) currently running on either a local or a remote computer. The tracert command sends Internet Control Message Protocol (ICMP) Echo Request messages to a specified remote computer with increasing Time to Live (TTL) field values and displays the IP address and hostname, if available, of the router interfaces between the source and destination. The tsdiscon command is used to disconnect a Remote Desktop session. The tskill command is used to end the specified process. The type command is used to display the information contained in a text file. The typerperf command displays performance data in the Command Prompt window or writes the data to specified log file. The tzutil command is used to display or configure the current system's time zone. The tzutil command can also be used to enable or disable automatic Daylight Saving Time adjustments. The unlodctr command removes Explain text and Performance counter names for a service or device driver from the Windows Registry. The ver command is used to display the current Windows version. The verify command is used to enable or disable the ability of Command Prompt to verify that files are written correctly to a disk. The vol command shows the volume label and serial number of a specified disk, assuming this information exists. The vssadmin command starts the Volume Shadow Copy Service administrative command line tool which displays current volume shadow copy backups and all installed shadow copy writers and providers. The w32tm command is used to diagnose issues with Windows Time. The waitform command is used to send or wait for a signal on a system. The wbadmin command is used start and stop backup jobs, display details about a previous backup, list the items within a backup, and report on the status of a currently running backup. The wevtutil command starts the Windows Events Command Line Utility which is used to manage event logs and publishers. The where command is used to search for files that match a specified pattern. The whoami command is used to retrieve user name and group information on a network. The winrm command is used to start the command line version of Windows Remote Management, used to manage secure communications with local and remote computers using web services. The winrs command is used to open a secure command window with a remote host. The winsat command starts the Windows System Assessment Tool, a program that assesses various features, attributes, and capabilities of a computer running Windows. The wmic command starts the Windows Management Instrumentation Command line (WMIC), a scripting interface that simplifies the use of Windows Management Instrumentation (WMI) and systems managed via WMI. The xcopy command can copy one or more files or directory trees from one location to another. FLV is a "Flash Live Video" file. It is a format that is designed for web playback, offering high rates of compression. Several products output in FLV format, including Sorenson Squeeze (The term "movie" often refers to common Flash source files (.FLA) and deployed files (.SWF) and is not synonymous with "video"). Flash Media server and RTMP Streaming -- Its been around for about 9 years now. In this system, a Flash application communicates through the RTMP Server. Usually these applications enable person-to-person communication (one-to-many, or many-to-many). Flash may also be used for machine-human communication, such as real-time data transmission and notification. Even though the browser can play the file while connected to the server, there is no operating system player for the Flash FLV file format, so the file cannot be played locally. Given the connection to the MX server however, it allows the user to play the movie directly in their chosen browser. Flash MX Media server can also administer time spent and pending usage as previously purchased by the user. Real Time Collaboration is a powerful programming model that will allow many multiple connected users to share data and user interfaces in real time, coupled with client and server data storage capabilities. Support for off-line usage in addition to on-line usage allows the creation of robust applications that can be used offline, and then synchronized automatically when the user goes back online. The Flash Communication Server has functions for server-side scripts that may disconnect users, authenticate, and control. Applications can be developed for moderators or administrators to perform custom maintenance and monitoring. The Macromedia Flash Communication Server works with multiple network adapters on the server machine. This allows the server to be built for maximum network throughput. In addition, "virtual hosts" may be configured on each adapter. Virtual hosts can be used to isolate different server users, allowing each server user to add applications freely while keeping their programs separate from others. The file format used in this process is Flash FLV or Flash Live Video, and it plays in a Flash Player. While traditional methods of media delivery include some kind of download to the user's computer, either in a pre-loader or through temporary Internet files, Flash MX Communications server and a Flash FLV Player connect in a completely different manner. Simply put, it's a new connection to the file each time the user uses the controls in the player. This means that in the background it's a "start here" ? "stop here" ? "start again here" style of play, with no downloads or caching. FLV format file sizes after conversion are up to 60% smaller, saving server storage costs. FLV's start - stop connection style saves on bandwidth (which is as much as 60% less per month). FLV format has no local player in operating systems, so file sharing is virtually nullified. FLV format plays directly in more browsers than Windows Media, Real Player or QuickTime. FLV server can authenticate clients, and control users as you wish. FLV players can be completely customized for logos, branding and embedded links. FLV players can play files from a programmable database, and simple administration area. FLV players can be programmed to integrate with databases for free previews, time, users. FLV encoding can include user information for content tracking, misuse, or DRM. Flash Communications servers are easier to maintain than others, and less prone to security hacks. Bandwidth: The total amount of data a network connection is capable of sending through its system per second. This determines the length of time it will take to transmit data. Example: a file that takes 10 minutes to transmit across a modem with a speed of 28,800 bits per second (bps) might take only one minute to transmit over a DSL line because the DSL line has a larger bandwidth capability, which can pass more bits through per second. Buffering: Media players assimilate the incoming data and present it to the viewer, as audio and/or video. During network congestion, this data is not sufficient for the media player to continue playback and therefore, the player must pause to receive more data before resuming playback. This process is called "rebuffering". To help avoid "rebuffering," the media players buffer a certain amount of data on reserve in the beginning before playing the clip. Flash Communication (Media 2) Server eliminates this "buffer" time. Caching / Cache: Data that is frequently accessed is often stored in the computer's memory so that it may be re-accessed at a quicker rate than if this data was stored on the computer's hard disk drive. The process of storing this data is called caching. The type of memory that stores this data is called the cache. Digital Rights Management: Refers to qualifying the end-user prior to allowing the end-user to view or listen to the media file. It is a term usually referring to the software that enables Internet 'Pay-Per-View'. Digitizing and Encoding: Digitizing refers to the process of capturing original media (film, video, sound recordings, etc.) into a digital format onto your computer. Encoding refers to the process of converting this digitized file into a streaming format. ISP: Internet Service Provider. Companies that offer access to the Internet to subscribers. Latency: This is the delay of transmission of data. Refers to the time it takes for a router, upon receiving the data, to determine which router to forward the data to next. Load-Balanced: A single computer is only able to transmit a fixed amount of data. If the server receives too many requests for data at the same time, a bottleneck forms causing a delay in transmission of data. Load balancing refers to the process of grouping multiple servers together to act as one single system This will minimize the risk of this type of delay. MP3: Digital format specifically designed for music. Network Congestion: Situation that occurs when the amount of data being transmitted exceeds the capacity of the network. This results in data transmission delays and possibly lost data. If a router becomes overloaded, it will discard data as a last resort to manage the volume of data transmission. Peering: An agreement between Internet backbone carriers to exchange equal amounts of data at specified points along the Internet. Peering agreements enable competing companies to utilize cable laid by one another, thus reducing costs and duplication of cable routes. As the data is exchanged freely between the carriers, there is no economic incentive for one carrier to manage the incoming data of another carrier. Should one carrier submit data in excess of the "peering" agreement, the other carrier will usually discard the excess data. Peering connections on the Internet have often been associated with bottlenecks of Internet data transmission. QuickTime: Digital media software created by Apple Computers. RealPlayer: Streaming media software created by RealNetworks for the Internet. Redundancy: Systematic approach to eliminating single points-of-failure in a network or data storage system. Router: A Router is a hardware device used throughout a network that receives incoming data and determines the route for that data to travel in order to reach its intended destination. A router is a switch with built-in capabilities than enhance its functions and performance. Scalability: The ability to expand capacity of an existing data storage system or network without requiring replacement. Streaming Media: Like television and radio for the computer, streaming media technology converts other mediums (audio and video) to digital formats that can be played back instantly by computers. It is comparable to the process that enables one to turn on a TV set and instantly see a program, or turn on a radio and instantly receive sound. The general term Streaming Media incorporates all the formats created specifically for transmitting audio, video and multimedia over the Internet. Webcast: media file distributed over the Internet using streaming media technology. A webcast may either be distributed live or on demand. Windows Media: Streaming media software created by Microsoft. We do not offer Windows server space at the current time. Macromedia Flash Websites: Video support in Macromedia Flash has continued to evolve since its introduction in Flash MX and Flash Player 6. Flash Player 7 greatly improves video quality, supports higher frame rates, and provides additional opportunities for loading dynamic media at runtime. At the core of Flash video is the Flash for Video (FLV) file format. FLV files contain encoded audio and video data that is highly optimized (through the use of Sorenson's Spark codec) for delivery through the Flash Player. This keeps the Flash Player footprint as small as possible by using a single video rendering format. Edited video content is encoded into the FLV format as it is imported into the Flash authoring environment (or encoded into FLV format from third party applications via the Flash Video Exporter plugin). Once imported into the Flash authoring environment, FLV files can be converted to movie clips and can benefit from all of the programmatic manipulations ActionScript has to offer, or exported back out as standalone FLV files that can be invoked and streamed by the Flash player. On the delivery side, developers can choose from a variety of options for embedding video into Flash movies or options for streaming external video files at runtime, or options for exporting Flash video to other formats. Developers need to carefully consider the types of video content, bandwidth, length, and the level of user interaction needed before choosing a suitable delivery mechanism. Video capabilities in Flash MX With the introduction of the Flash MX? platform, support for video has improved with the addition of many new capabilities to the authoring and runtime environment, giving developers more options for delivering embedded video and progressive and streaming files. In short, developers have many new choices to tailor the delivery method to best match the nature of differing video content and ultimately to deliver the best possible user experience. The wizard adds many new choices for encoding imported audio and video as well as providing basic clip scaling, cropping functions and contrast and brightness controls. a set of authoring components that enable connections to external video files and connections to Macromedia's Flash Communication Server (available separately), and a new set of Behavior actions that work with Slides to accelerate and simplify the creation of advanced interactive video presentations. a new plug-in for use with third party applications that enables users to export Flash encoded audio and video directly from a third party authoring environment. Flash Websites There are several alternative approaches to using video with a Macromedia Flash-based website. The overriding factor in choosing the optimum method for delivery is performance, which developers can best address by matching the appropriate delivery mechanism with the actual content. For example, approaches that work for short video clips embedded into a Flash movie will not work with large video files that require external streaming. Likewise it is not efficient to architect, code, deploy, and maintain an elaborate client-server delivery mechanism when presenting short, highly-compressed and optimized clips. Embedded SWF Embedded SWF video is a straightforward method of delivering short video clips and has been around since Flash Player 6. It is an easy to use, timeline based technique and gives quick results. Video clips can be imported and encoded into the Flash authoring environment. Playback is limited to simple play and stop commands, and the video framerate must match that of the host movie, an important consideration that will require authoring for the lowest-common-denominator download speed. For web delivery, content must be completely downloaded and must fit into available memory on the user's machine before playback can begin. The biggest limitations to embedded video are movies having a maximum of 16,000 frames and audio sync cannot be maintained beyond about two minutes. The entire video clip must be published each time the movie is tested or previewed, which can lead to lengthy authoring sessions. Progressive FLV Flash Player 7 introduced progressive download, a technique where external FLV files are cached on the user's local hard drive and played through the host SWF at runtime with no limitation to the file's size or duration. Audio and video stays in sync and the frame rate is completely independent from that of the movie host, enabling developers to create several versions of content optimized for different download speeds. Since an external FLV is published separately from the host FLA , authoring time is more efficient. For lengthy audio/video content that requires fairly straightforward delivery, external progressive FLVs can be a good choice. The Flash MX Professional 2004 authoring environment contains Media Components that can be used to quickly add FLV or audio MP3 playback control to a Flash project. Media Components provide support for both progressive and streaming FLV files. Streaming FLV Streaming FLV files have many of the same properties of Progressive FLV files but are remotely served from Macromedia's Flash Communication Server (available as a separate product). This approach provides the most efficient delivery of FLV and audio MP3 files by streaming data to the host SWF file and requires the least hard disk and memory resources on the client end. Since data is not cached locally on a user's hard disk, this technique also provides the most secure method of delivering media. Macromedia's Flash Communication (Media 2) Server has the ability to deliver multiple simultaneous real-time communications, provides smarter delivery of content by adjusting to the client's connection speed, and has advanced monitoring of traffic and throughput. For media projects that require the greatest flexibility in efficiently handling the most complex data streams, this is the best choice for delivery. Exported FLV & QuickTime Flash Tracks Flash can export movies to other formats such as Apple's QuickTime or Microsoft AVI. Flash can also export image sequences to a variety of formats, such as GIF, PNG, JPG, AI and EPS. Note: AVI export is only available in Flash for Windows. QuickTime video can be imported into Flash where Flash tracks can be added and exported back out as QuickTime and played with the QuickTime player or plugin. This provides much of the Flash feature set, especially navigational overlays and sprites, directly into a separate track within a QuickTime movie. Another use is to use Flash to ?translate? graphics formats not supported by QuickTime into QuickTime movies. Note: QuickTime support for Flash is usually based on the next-to-latest version of Flash. The current version of the QuickTime Player? supports playback of Flash Player 5 SWF files. This is because Apple's development of QuickTime is not synchronous with Macromedia's latest Flash Player development. Also, it is up to the software developer to decide how much of the Flash player feature set to include in its own players, so it is likely that not all of the Flash player functionality will be present in all software titles. This can limit the scope of ActionScript that can be carried out on these titles. For details see Apple's Developer Center article on QuickTime 6 support for Flash. The Flash Media Handler inside the QuickTime player supports an optimized case for the alpha channel graphics mode, allowing a Flash track to be cleanly composited over other tracks. QuickTime allows the SWF file format to execute any of the standard Flash movieclip actions. Passwords Are Like Underwear. . .
. . . you shouldn't leave them out where people can see them. You should change them regularly. And you shouldn't loan them out to strangers. Machine will start to boot. Press  to overwrite the file. Investigating a web-based intrusion can be a daunting task, especially when you have no information other than knowing it was web-based. It is easy to waste precious time digging through megabytes, perhaps even gigabytes, of log files trying to locate suspicious activity. Often this search turns up little useful evidence. Consider this scenario: an e-commerce site receives several reports from customers about unauthorized orders on their accounts. They suspect that someone has compromised their web-based ordering system so they gather the log files from several different IIS web servers. They have the dates and times of the orders, but the corresponding IP addresses in the log files turn out to be anonymous proxies used by the suspect. Searching for activity from those IP addresses in the log files turns up nothing. Browsing through the raw log files for those dates also turns up nothing. Somehow, someone found a flaw in the ordering system but he or she could have discovered the flaw months before exploiting it. Tracking down the flaw and IP addresses used by the suspect seems impossible. But there are techniques that can facilitate log file forensics. The purpose of this article is to demonstrate log file forensics of IIS logs using SQL queries with Microsoft's LogParser tool. The first step is to prepare for security incidents by logging as much information as possible. IIS can log a significant amount of information about each web request, but many of the available log fields are not enabled by default. To enable full logging, open the Internet Services Manager and edit the Extended Logging Properties to include all available log fields. Much of this information has some forensics value as shown in Table 1. The UTC time of the request. Event correlation, determine time zone, identify scanning scripts. The IP address of the client or proxy that sent the request. Identify user or proxy server. The user name used to authenticate to the resource. The W3SVC instance number of the site accessed. Can verify the site accessed if the log files are later moved from the system. The Windows host name assigned to the system that generated the log entry. Can verify the server accessed if the log files are later moved from the system. The IP address that received the request. Can verify the IP address accessed if the log files are later moved from the system or if the server is moved to a new location. The TCP port that received the request. To verify the port when correlating with other types of log files. The HTTP method used by the client. Can help track down abuse of scripts or executables. The resource accessed on the server. The contents of the query string portion of the URI. Can identify injection of malicious data. The result code sent to the client. Can identify CGI scans, SQL injection and other intrusions. The Win32 error code produced by the request. Can help identify script abuse. The number of bytes sent to the client. Can help identify unusual traffic from a single script. The number of bytes received from the client. Can help identify unusual traffic to a single script. The amount of server time, in milliseconds, taken to process the request. Can identify unusual activity from a single script. The HTTP protocol version supplied by the client. Can help identify older scripts or browsers. The contents of the HTTP Host header sent by the client. Can determine if the user browsed to the site by IP address or host name. The contents of the HTTP User-Agent header sent by the client. Can help uniquely identify users or attack scripts. The contents of the HTTP Cookie header sent by the client. Can help uniquely identify users. The contents of the HTTP Referer header sent by the client. Can help identify the source of an attack or see if an attacker is using search engines to find vulnerable sites. While I normally recommend logging all fields, the actual fields you choose to log should be based on a balance between forensics capabilities and disk space. IIS does provide many log fields, but there may be other fields you wish to record. For example, if the request comes from a proxy server, you may want to see if the proxy server sends the client's real IP address through other HTTP headers. For example, some proxy servers add the "X-Forwarded-For" header containing the client's real IP address. Note that other common proxy headers are Forwarded, Client_IP, Remote_Addr, Remote_Host, Forwarded, VIA, HTTP_From, Remote_Host_Wp, Xonnection, Xroxy_Connection, and X_Locking. Digging through logs requires that you have some common interface to perform queries across hundreds of individual log files. One method is to dump all the logs into an SQL database. Another solution is Microsoft's LogParser tool. This robust tool provides an SQL interface to a variety of log file formats and is fast enough for log file analysis of most web sites. I won't go into detail here about how to use LogParser, but the document included with the package is very helpful to get started. Because LogParser is a command-line tool, I have found it useful to either to copy the file to the C:\Windows directory or to add the LogParser directory to your PATH variable. You can download Microsoft's LogParser 2.0 here, but the IIS 6 Resource Kit includes LogParser 2.1, which has some new features. Although LogParser 2.1 runs fine on a Win2k system, you cannot install the IIS 6 resource kit on Win2k. However, you can manually extract the resource kit files using the command: iis60rkt.exe /V/a. It is important to note that when doing any log file processing, be sure to work on copies of the logs to help preserve the integrity of the original files (see Maintaining Credible Logfiles). I also find it helpful to only copy those logs for the time period I want to analyze to reduce the size of the query results. This article will demonstrate many of the forensic capabilities of LogParser. Keep in mind that I wrote each of these example queries for a typical configuration, therefore you may need to adjust them for your particular site. Not all queries listed here will be effective for you, depending on your site configuration and traffic level. If you do not know anything about the intruder or the nature of the intrusion, you must first do some high-level queries to know where to start your hunt. Most attacks leave some kind of trail or have some side-effect on your server. The trick is finding them. Carefully review this list and make sure that each item listed is part of your web application. In particular, watch for files such as nc.exe, tini.exe, root.exe, cmd.exe, upload.asp, aspexec.asp, etc. According to this list, the site contains several file extensions that may be of concern to us: .asp and .dll. Therefore, all the example queries from this point on will specifically look for ASP and DLL files. You will likely need to adjust this depending on which executable extensions you use on your web site. One way to detect script abuse is to see if any one script has an unusually high number of hits. Since web-based attacks often require some trial and error, you should expect to see noticeable statistical variances, unless of course your web site gets millions of hits a day. Nevertheless, it is sometimes useful to see if any single day produced unusually high traffic. In the sample results above the number of hits on 2008-04-07 is suspiciously high and should be investigated further. This proves that those two IP addresses are either the same user or two different users with the exact same OS, browser, service pack level, installed hotfixes, and .NET installation. It is not a perfect indicator but it is significant. To support this evidence, you could go through your logs and discover when each of the IP addresses first hit your web site. When a user visits a web site for the first time, the browser downloads the page and any graphics and stores it all in the browser's temporary cache. This is so that subsequent visits to the page will not require downloading all the graphics again. However, the browser does check to see if the graphics have been modified before using the cached versions. If the graphic has not been modified, the server will return a 304 HTTP status code. Therefore, if you create a query for a specific IP address with a status code of 200 for any particular graphic, that log entry will be the user's first visit, providing they have not cleared their cache. So if a user switches to a different proxy server, the file will still be cached and therefore there will never be a first visit from one of the IP addresses. If one of the two IP addresses mentioned above turns up not having a first visit, chances are that they first visited the site from the other IP address. If neither IP address shows a 200 result, then there are more IP addresses left to discover. Other clusters of anomalous web site activity. Looking at these results, it is immediately obvious that one IP address hit the same page 281 times one day and 91 times another day, which is obviously suspicious. If you find any errors that are interesting, you could write another query to drill down to the specific error. In particular, you want to watch for ODBC and ADO errors, indicating a possible attempt at SQL injection. You may also want to write a query that checks the HTTP referer header to make sure the traffic is coming from where you expect it to be coming from. Following these same patterns, you will eventually close in on the source of the intrusion or identify unknown intrusions. With each query, try to add more criteria and more detail to identify the specific log evidence to identify the attacker or type of attack. LogParser is a very powerful tool, but the real power comes when you learn how to use these and other queries to quickly bring information to your fingertips.